Colour can transform a room, but it can also transform you! 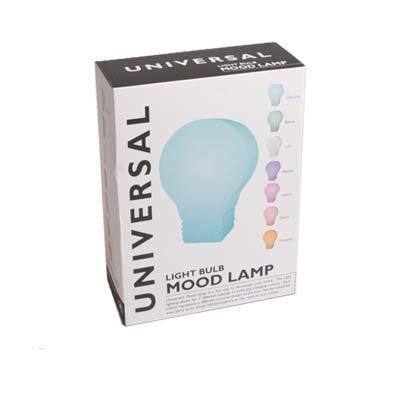 This fantastic Light Bulb Mood Lamp will be the perfect addition to any room of the house. With eight different settings of solid and changing colours, you can watch the colours morph or set it to the colour of your preference. 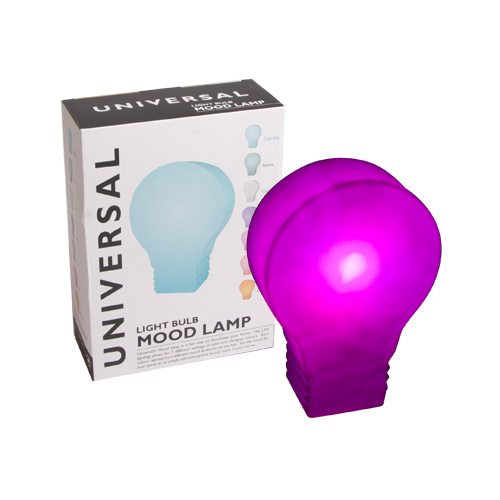 Whatever mood you're in, your Light Bulb Mood Lamp has a colour for you! Set it to blue to chill out, green to revive yourself, white for that calming effect, purple for passion, yellow if you're feeling energetic, pink to inspire you, and orange if you're in the mood to play! 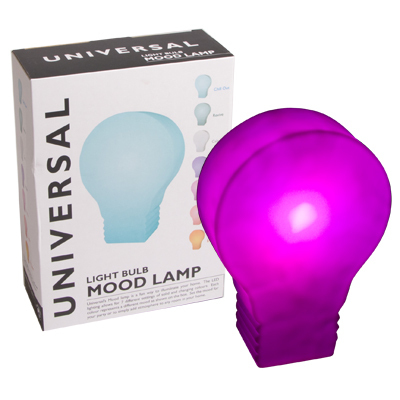 Can't decide what mood you're in? Simple! Set it to morph and let it choose for you! Requiring 3 AA batteries, simply turn it on and watch it transform. 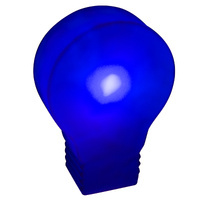 And because it's a stylish light bulb design that's white when turned off, it even looks good during the day! 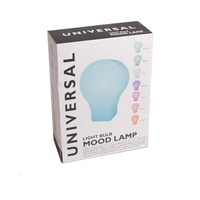 Made by the popular homewares brand Universal and made from phlatate free PVC, you know you're getting a quality product. And it even comes in a very funky box! The Light Bulb Mood Lamp is 23.5cm tall and 23 cm wide, and is the perfect gift for, wellƒ?Ý anyone! It's bound to help you see your life in a brand new light.